We guess that most people would immediately agree that family is the most important thing in the world. Those who are blessed to have a united family and whose relatives are supportive and keep the bond between each other strong are truly blessed! The trouble is that we often forget about all of this and we need a reminder every now and then. This is why the following list exists! Here is an image a proud father shared right after the baby was born. 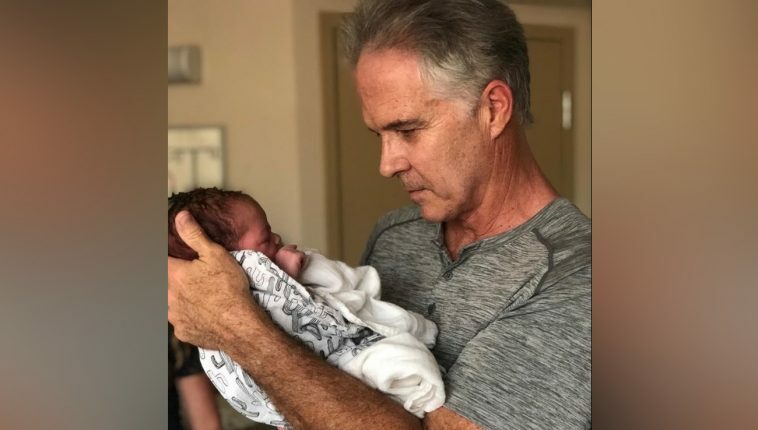 The adorable photo shows exactly how precious life is and it is also the proof that it brings a feeling to the parents that nothing else in life could! 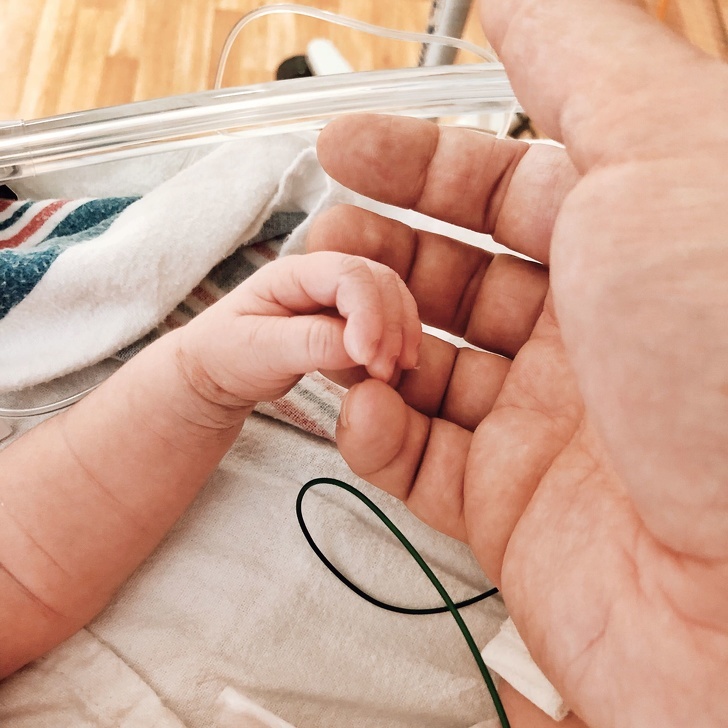 The miracle of life brings a lot of joy to the family of the newborn and it is also the marking of the most important change in their lives. We guess that images like these are the most important things people should keep. The reason is that they capture moments that are worth remembering but due to the fact that time tends to erase these memories, the images are a good way to save those memories. 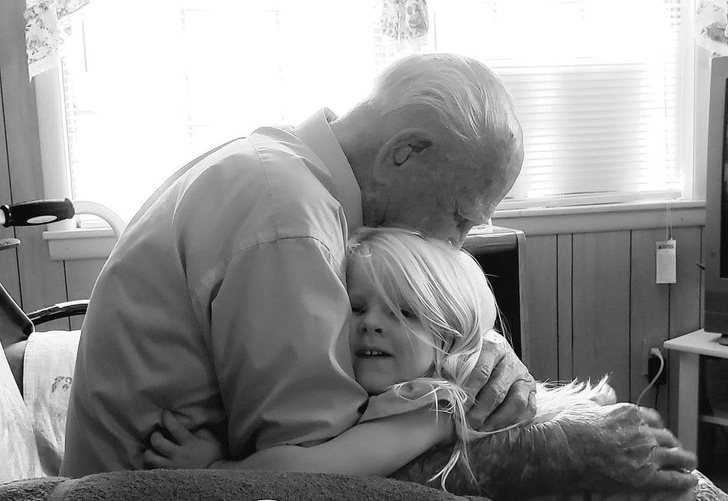 This photo shows a 103-year-old man and his 3-year-old great-granddaughter. It is a truly powerful image! Here is a photo of two twin-brothers who look exactly the same! The tattoos probably make it easier for people to tell who is who, but to use they are the same! The image you see is probably one that these brothers are going to keep, because it shows a curious moment. 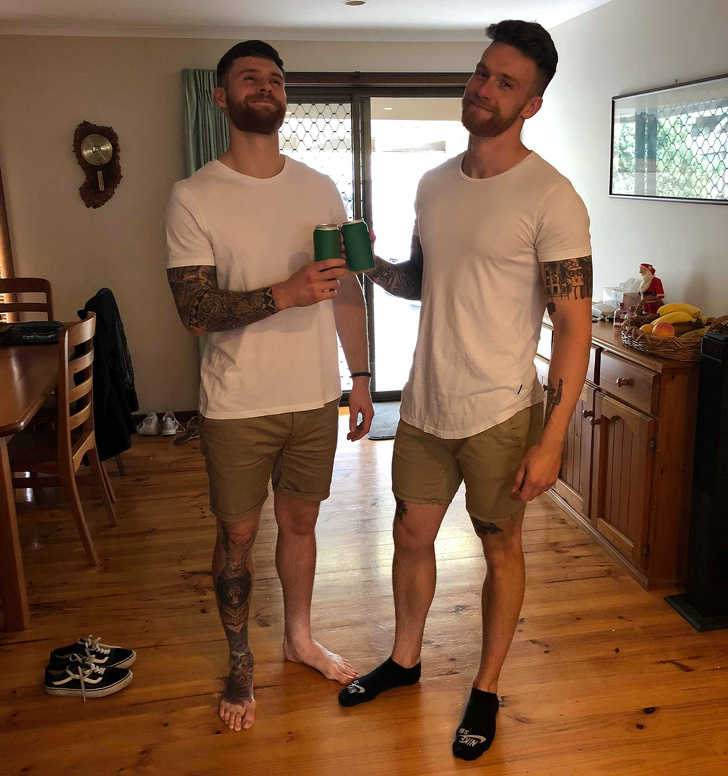 One of the brothers returned from a really long journey only to be greeted by the other brother who was wearing the exact same outfit! Among the toughest times a family could face is when one of the family members gets sick. Cancer is one of the most awful things that a person could face, which is why the whole family must show their support. 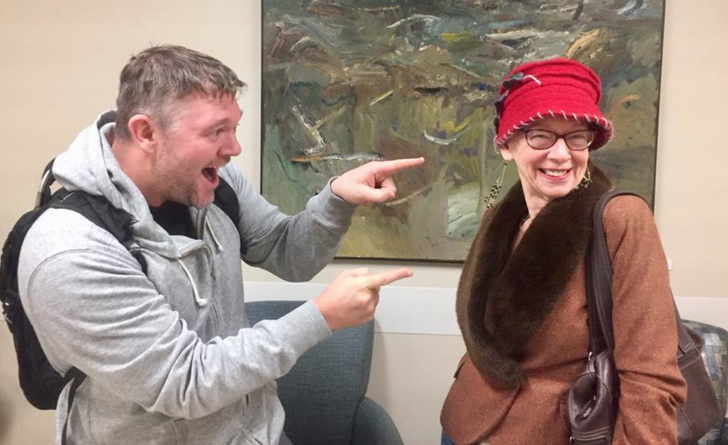 This image shows a mother and her son, and the reason why he looks overjoyed is that he just learned that she defeated cancer for good! We are really happy for that and we salute the brave woman! People always say that we should respect our elders and we think that this is one of the most important things in life. This is why one person decided to fulfill their grandmother’s request and posted this photo on social media. 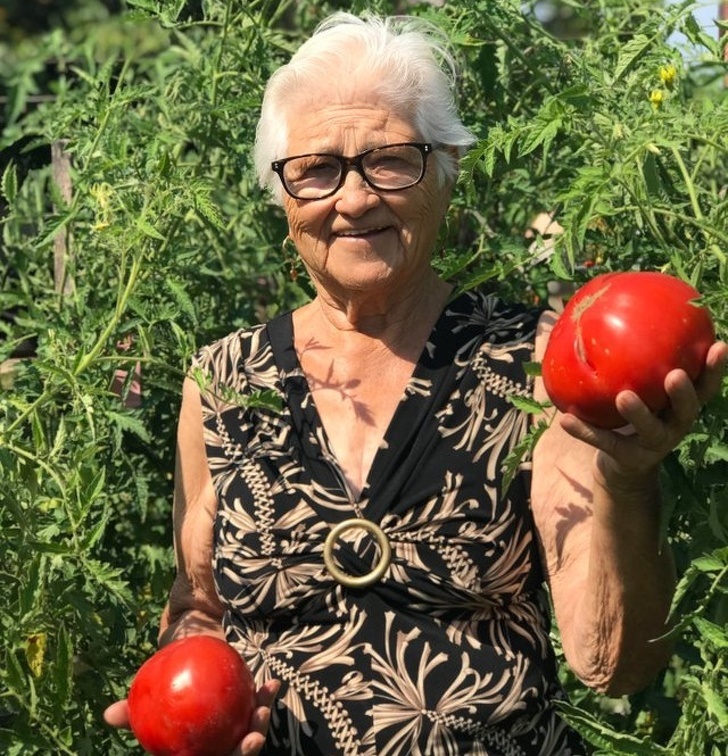 The granny wanted to show off her tomatoes that she singlehandedly planted in her garden. She was proud with her produce and wanted everyone to know about that! We believe that people who have kids would agree in a split second that they would do everything for them! Making sure that your child grows up happy is essential and this father definitely knows how to do it! 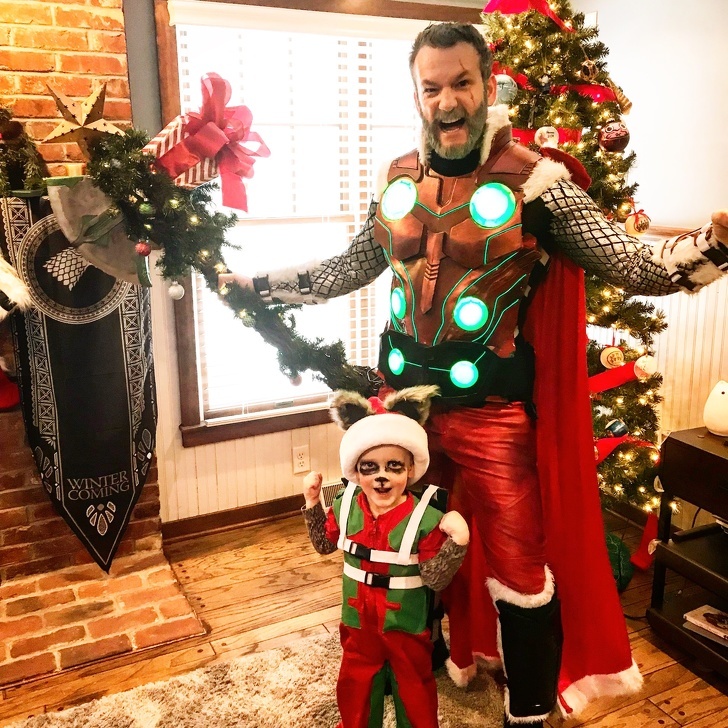 He was able to create a really special setup for him and his boy in order to make the Christmas celebration really special! He made sure all the little details his boy wanted were present! We believe that people who live to be a hundred are among those who should be respected the most! 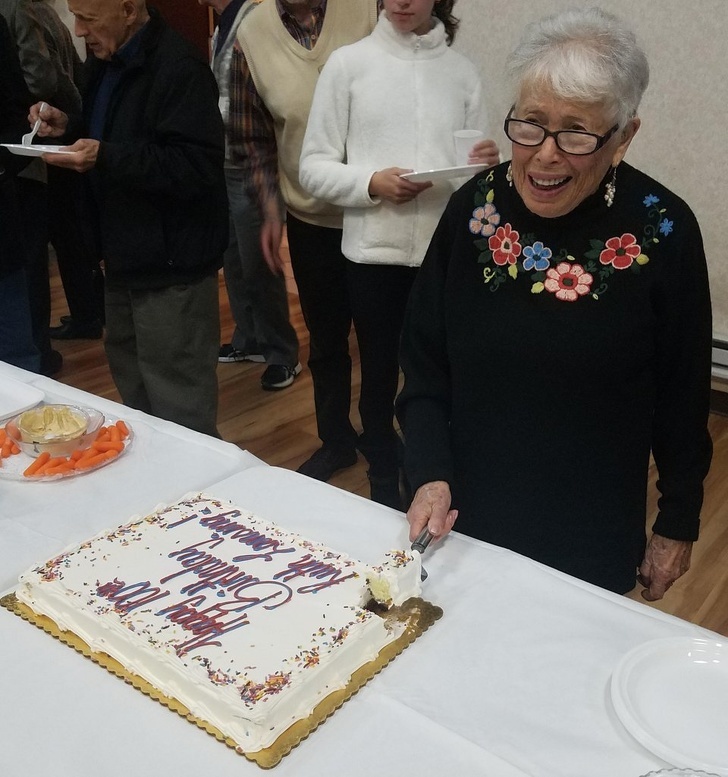 This elderly lady was pictured during the celebration for her birthday celebration and you can see how happy she is! Behind that smile is a long life filled with tough times! She is a Holocaust survivor and she unfortunately lost her entire family during WWII, but she managed to stay strong despite all of that! The bond between a mother and her son should be as strong as this one! 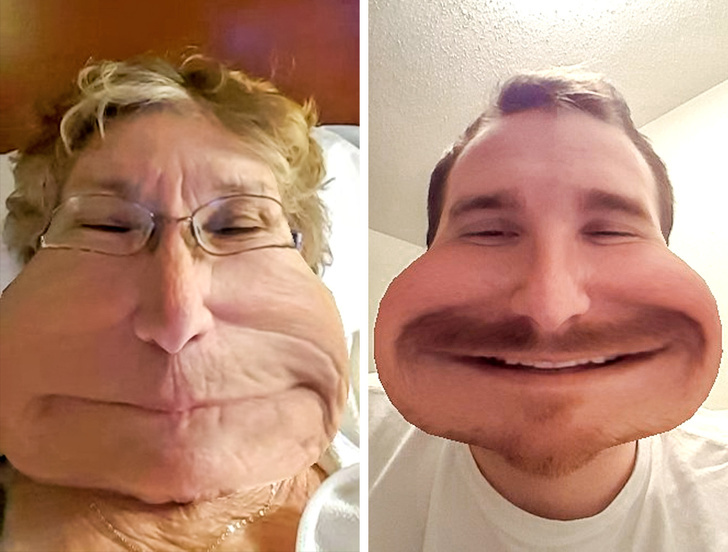 This person taught his mother to use different filters when they communicated, and she got the hang of it! The reason why they talk almost every day is the mother’s health condition. She suffered two heart attacks and her sons wanted to make sure that she feels good every day! 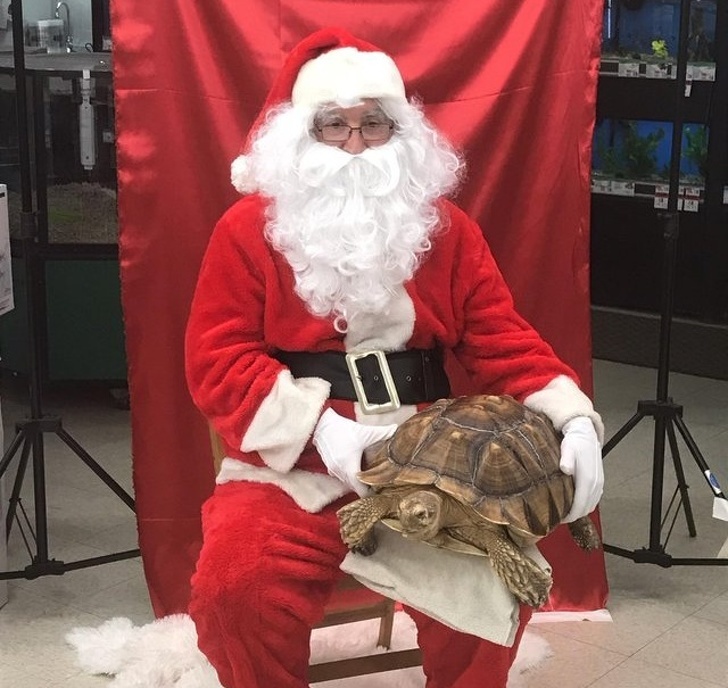 This image was taken around the Christmas holidays at one store where the management had a tradition to invite Santa. The reason why someone took the image is that they realized that Santa was actually their own dad! He did not tell anyone on purpose because he wanted to keep it a surprise. He was probably happy that his plan worked and we respect him for his decision to volunteer to be Santa! We guess that people who give all their energy in favor of their families are those who deserve the most credit! 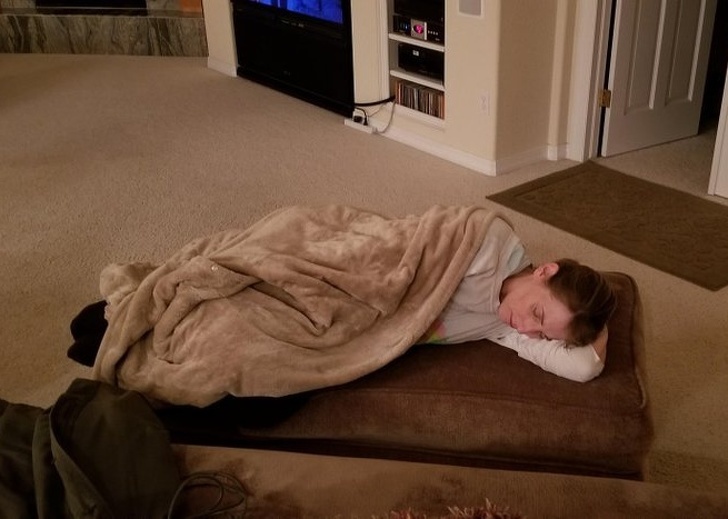 This image was taken by this woman’s son who saw just how tired she was after she spent a whole day cooking for her family! Most moms have more than one role – they need to be housewives and full-time mothers! This woman deserves all the respect she could get, and every other mom, too! 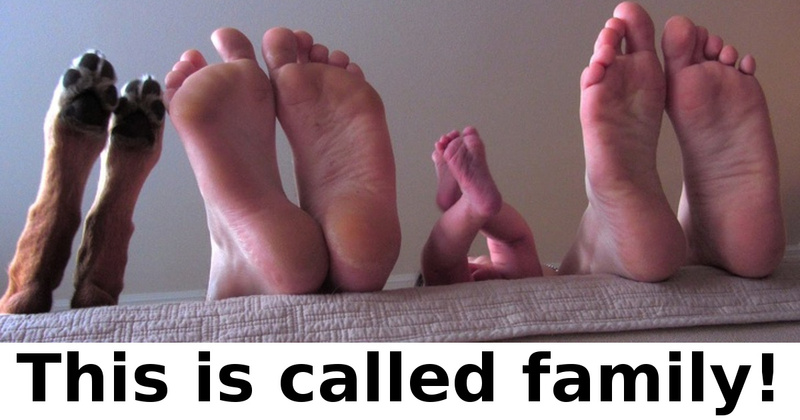 We guess that family photos are really different from one another because families are different, too! This example is really special, because it shows one part of a big family that we can rarely see. The image features women from the same family and they have many decades of age difference between each other. 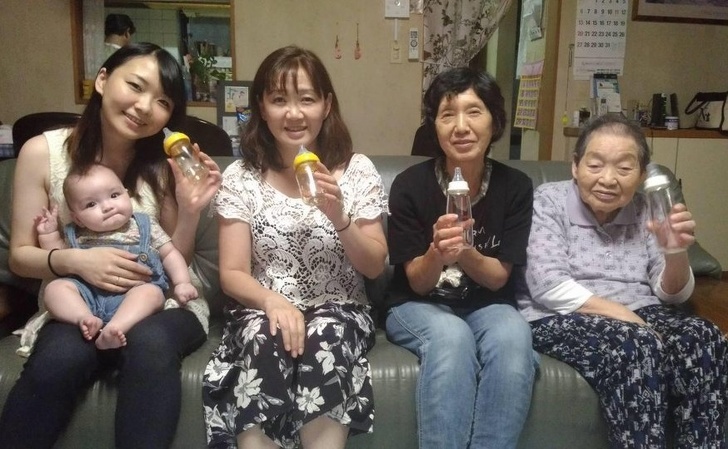 You can see five generations in one image, which is kind of rare and really curious to see! Just look how happy they look, and they probably feel that way, too! 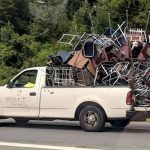 This image was shared by one dad who had a story to tell. He divorced his wife when their son was three years old, and the boy has been living with her since then. 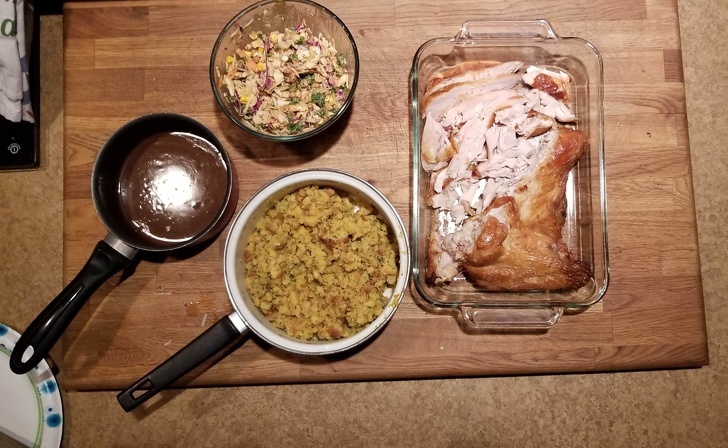 Five years later, the man decided that he should visit his kid for Thanksgiving, because it would be entirely different than communicating online. The man drove 1,200 miles and then he singlehandedly prepared dinner, which his boy really liked, too! It was the first time the man cooked such a dinner! He was probably happy that his son appreciated his father’s effort. We guess that it does not take much for an image to be wholesome! 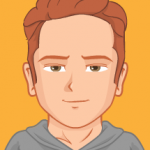 This is a nice example! Someone shared this image on social media and we think that it is more than special. It shows the persons grandma. The 93-year-old woman is sadly losing her memory due to an illness but she still has the sweetest smile. 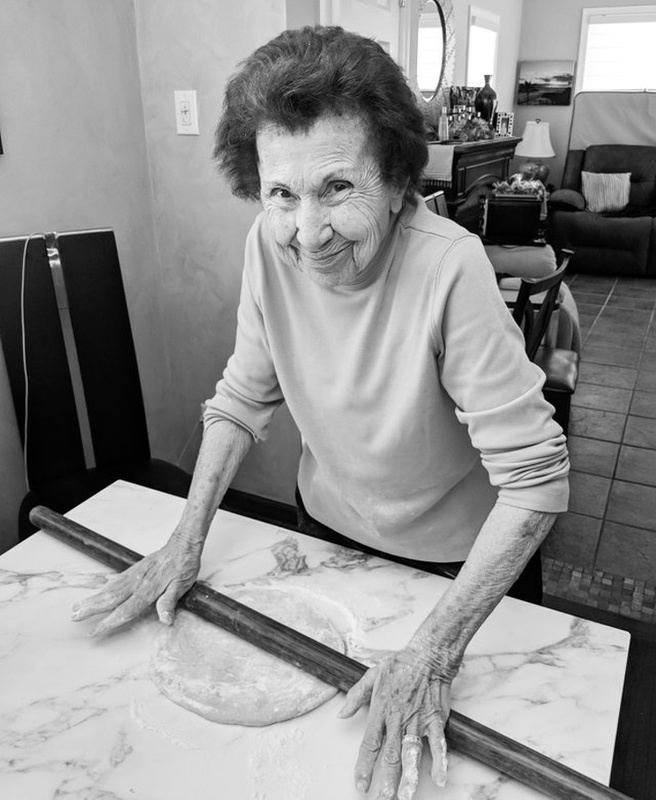 One thing she was still capable of is prepare dough for ravioli. This is a nice example that we should always try our best to make the people we care about happy. It really does not take much to make someone feel special. Sometimes a kind word or a hug is more than enough to do the trick. 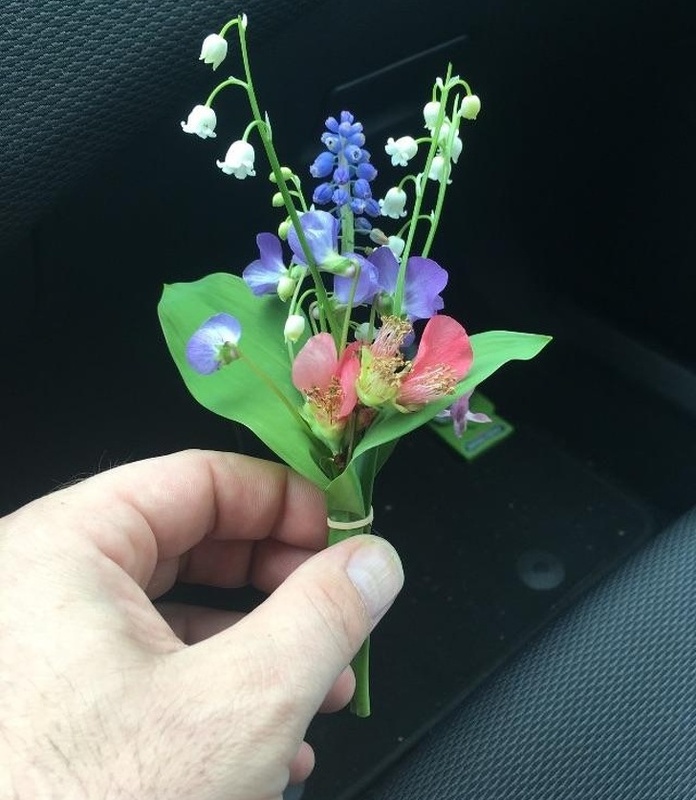 In this case, a construction worker who never made a bouquet before was able to assemble this beautiful small one! He made it for his mom and intended to give it to her, because it was Mother’s Day! We are sure that she was thrilled! Adoption is one of the noblest things any person could do, because a child’s life is literally changed after they are adopted! This image is heartwarming and wholesome at the same time! It does not look like much, but it shows a part of an amazing story. This boy was adopted by one couple fourteen months before the image was taken. 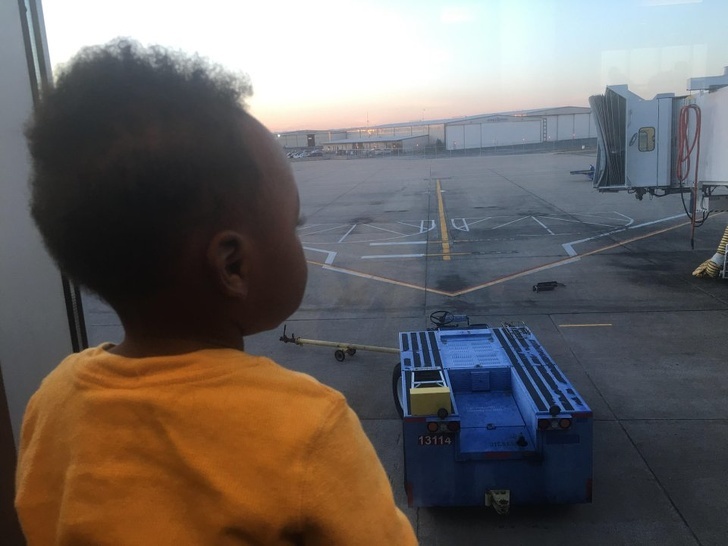 Now they got on the plane again because they decided to adopt his sister, too! We believe that kids’ senses are pretty much the main tool in order for them to be able to explore the world. Unlike us, adults, they don’t have prejudices or any other experience that might change their perception about a certain things. This is why children react to everything they see in the most adorable and genuine way! 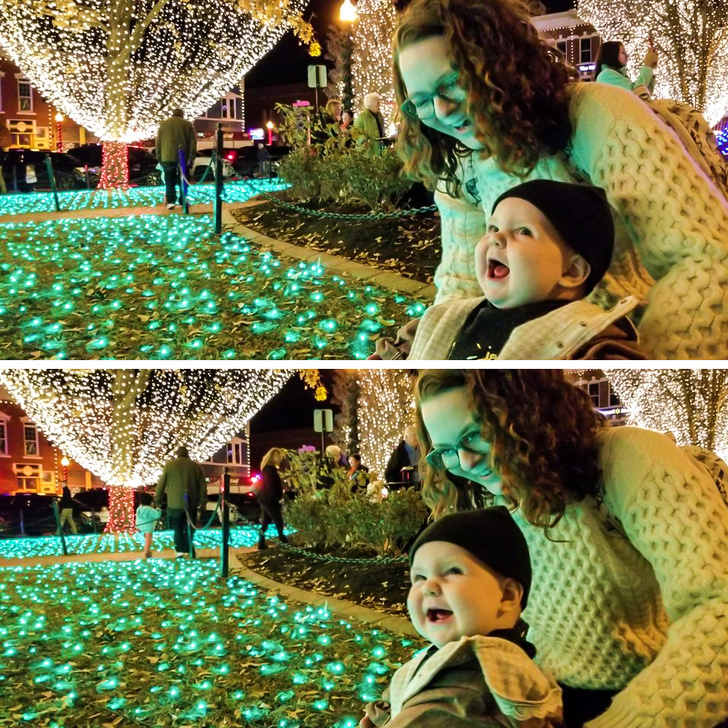 This mom decided to take her child to see the Christmas lights of the city they live in for the first time. You can see the excitement in this girl’s eyes! When it comes to family photos, we guess that they cannot get any better than this one! As you can see, mom, dad, the child and the family dog are all lined up in the funniest possible way! We are sure that this family has the time of their lives when they are together! We wish that all families are as happy as they can be!